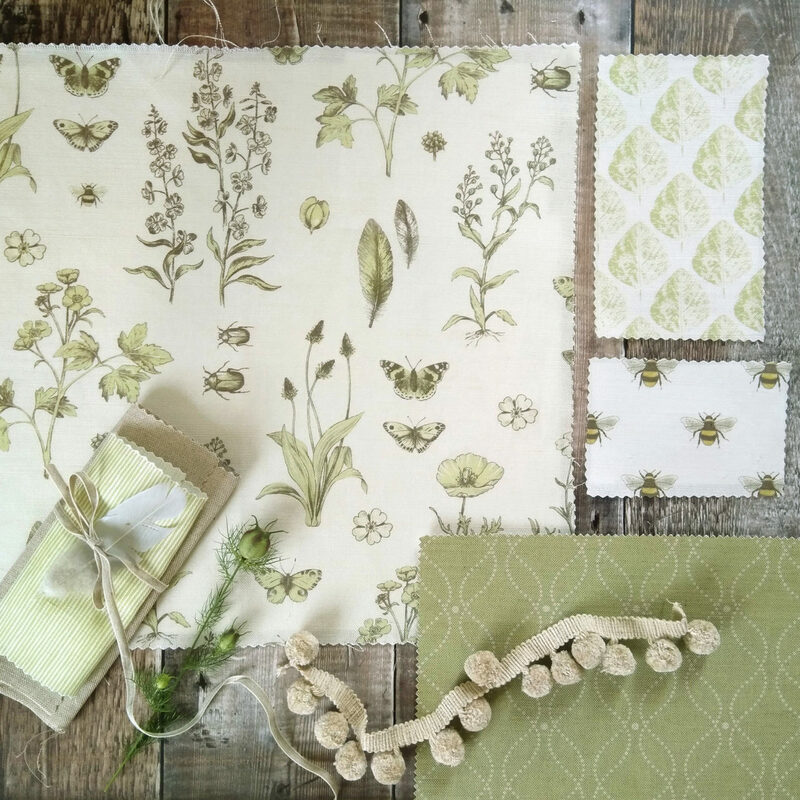 There’s something very special about finding a new fabric brand, especially when the designs are as pretty as these by the lovely Jacqueline Milton. They are so right for Spring don’t you think? We had a behind the scenes chat with the rock chic (read on) to see where her inspiration comes from, what her design process is and had a look at her beautiful collections. 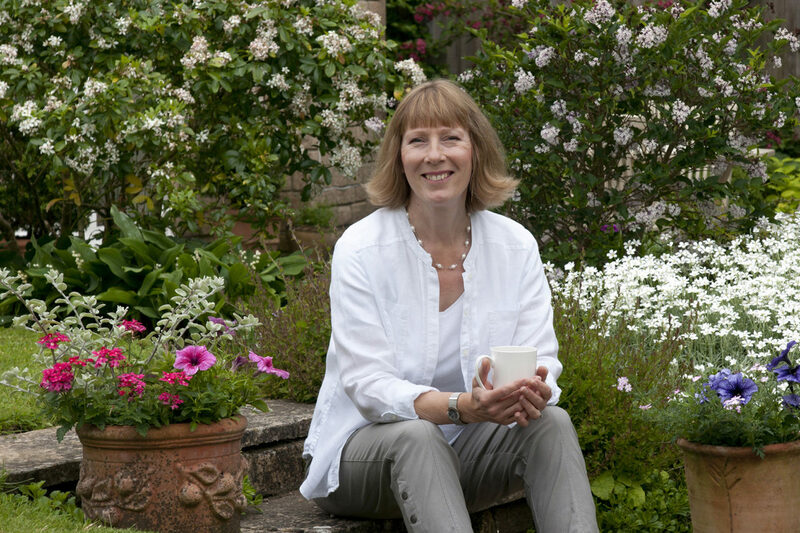 You can find Jacqueline’s website here at JacquelineMilton.co.uk and check out her Look book to see all her designs. How did you come to design fabrics – do you have an art background? From an early age, I’ve enjoyed drawing. At college I wanted to be a cartographer or an illustrator, but I was lucky enough to become a designer for Axminster Carpets, Devon. I can only describe my early days there as the equivalent of an apprenticeship. Learning the basics was the best thing that ever happened. I loved it, and it gave me a good understanding of pattern, pattern repeat and the restraints of design in relation to manufacturing. With 30 years’ experience in the interiors industry working as a designer, it seemed a natural progression to produce my own collection and the digital era has made that happen. My fabrics are a linen cotton mix which is woven in Scotland. After weaving, they are printed in Lancashire using the latest digital technology. Can you describe your design process for us – from an idea to being available to buy? The design process starts with sketches and once an idea starts to germinate, I will draw it into a repeat pattern. This is quite a mathematical process. The pattern must match top to bottom to produce a continuous roll. And it must also match side to side. Once I’m happy with the placement, I’ll mix the paints for the final piece of work; this is the fun bit! I use a variety of mediums – water-based paints, inks and pencil are my favourites. The finished painting will be converted to a digital file in my studio. In all, the design process takes about 3 weeks, but that is just the beginning. It takes time to decide on the final colours and to ensure that the new patterns link to the existing fabrics. 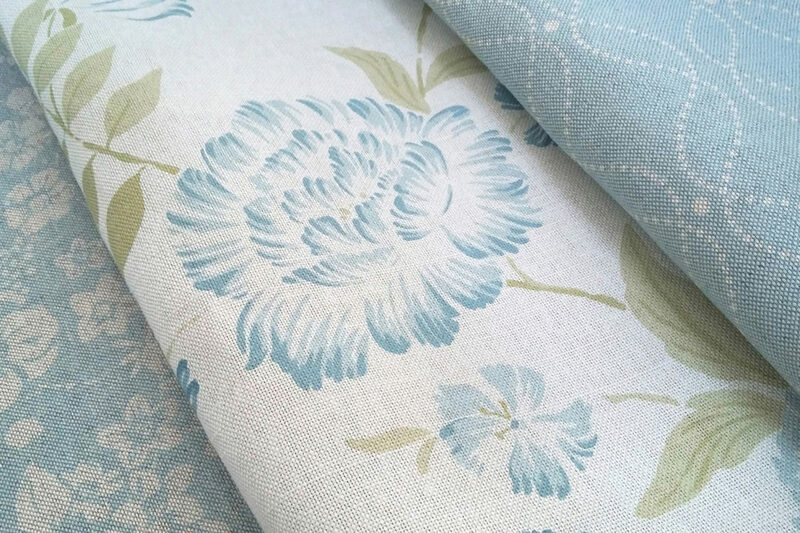 Each new fabric must work on its own and also with the other fabrics – like one big family. I will spend several months testing different colours on linen. The process of launching a new collection from start to finish will take 6 months to a year. There’re always a few challenges along the way, but it’s exciting seeing the finished fabrics emerge all that time after the initial sketches! My work is hugely influenced by my surroundings. I know that sounds cliché but it’s true for a lot of creative people. Miles of hedgerows bursting with life, orchards, crops and rolling hills. I’m constantly inspired by the effortless combinations in nature and my collections are based on just a few of my studies. Winning a national award for a carpet design back in the mid 80’s which is still available today, and then being presented to Margaret Thatcher as the designer. Like many designers, the ultimate thrill is when a customer buys one of my designs, whether it’s fabric, wallpaper, carpet etc. They’ve chosen it above all others because they love it, and that is the best reward any artist could ask for. We’re all afraid of making mistakes, but the person that never made a mistake, never learned anything. One of my earliest mistakes was leaving off the title and one ‘t’ on a letter to Mr Pratt, thus reading Dear Prat. What did I learn? Attention to detail. What advice would you give to an aspiring fabric designer? Be yourself, don’t be afraid to promote your work and remember there’s plenty of room for everyone. 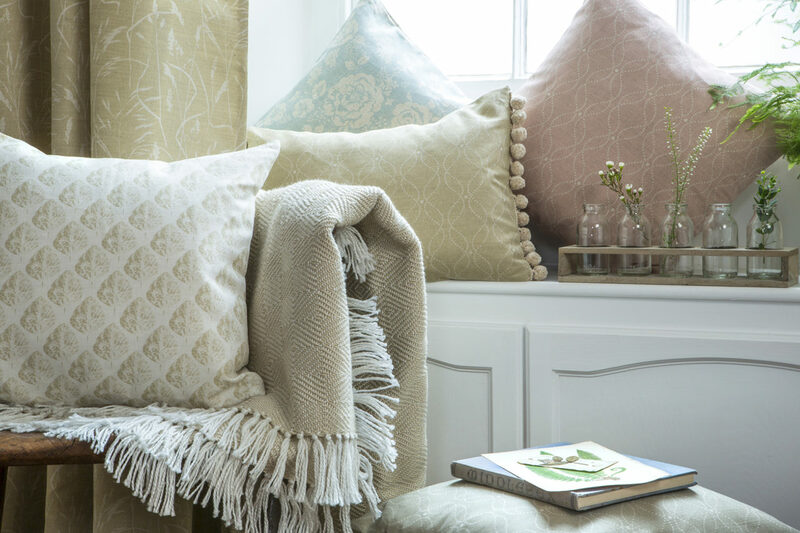 Have a look at the British Interiors and Textiles Association (BITA), they offer advice and courses for fabric designers. If you could collaborate on a line of fabric/homewares with anyone, past or present, who would be your dream design partner and what type of collection would you create? I have to say the Collier Campbell sisters. If I hadn’t have read an article in a magazine (2011), I might not have ventured out on my own. I still have the article in the studio today; they were my inspiration. Their work is free and colourful and quite different to my own style, but I would love to work on a fabric collection based on pattern archives from 1750 – 1850 century. 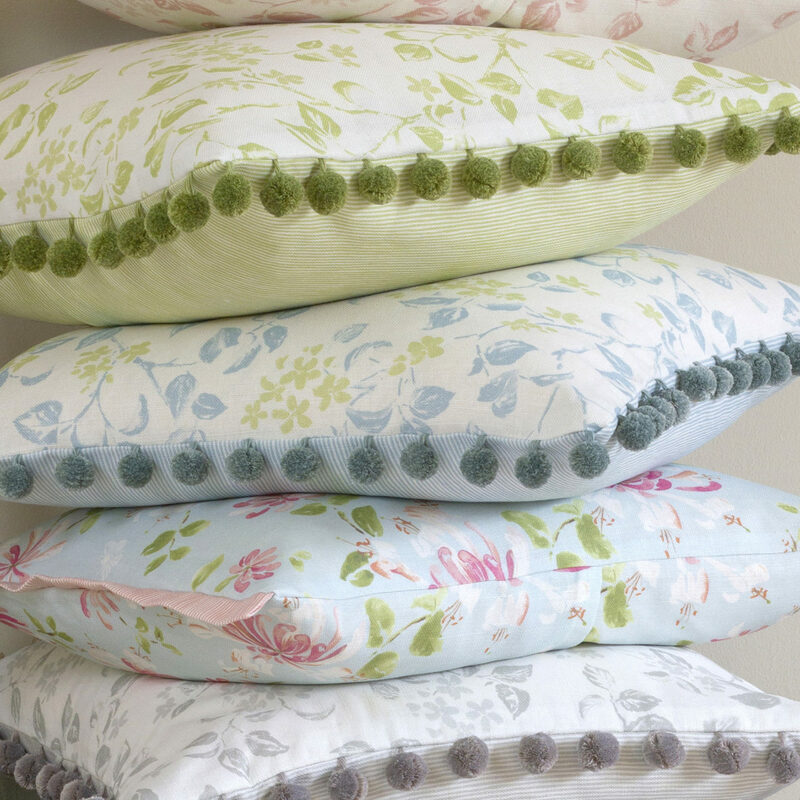 What advice would you give to anyone about choosing fabric for their home? It’s a good idea to build up a moodboard by collecting samples that you like. Take time to look at your samples in different parts of the room throughout the day – you will notice the colours change in different lights. If you’re not confident with colour, a good interior designer will be able to guide you. I believe interiors should be comfortable and easy to live with. Which of your designs are most popular and why do you think that is? 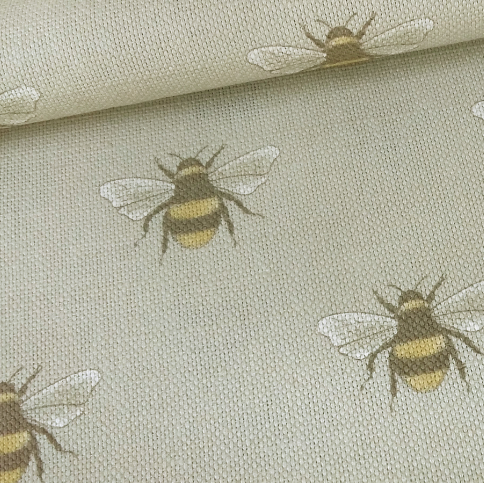 Wisteria and Busy Bee are two popular designs. 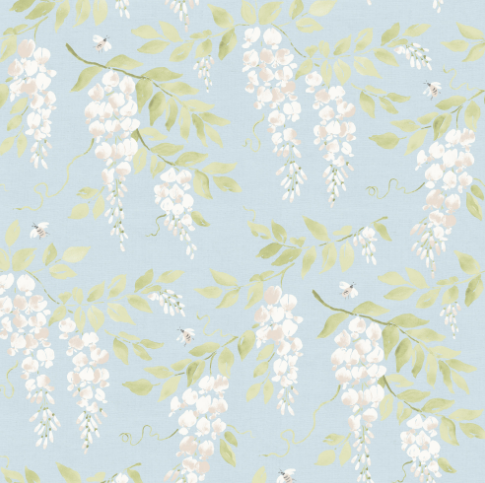 Wisteria offers colour and pattern without being too overpowering and the bees are a bit of fun. My next job will be to prepare for upcoming shows and possibly an open studio event later in the year. There’s always plenty going on in the studio and I’ve already started planning out new designs, but it will be a little while before they are in the pipeline. Tea first thing in the morning, coffee at 11ish (with cake or biscuits) and tea in the afternoon. Cinema or theatre or gig? Difficult one but I do love live music, so I have to say gig. Last gig was Deep Purple. What’s the last thing you bought for your home? Linen table runners and a ceramic bowl whilst on holiday in the New Forest. Tell us something not many people know about you / or would surprise us / or what’s your guilty pleasure? Well you’ve probably already guessed that I’m a closet rock fan, but you might not know that I grew up in the Netherlands and speak Dutch. I also love cake. Are you able to send out samples for photo shoots? I love sending out samples for photoshoots, just give me a little notice because my fabrics are printed to order, although I do keep small quantities in stock. 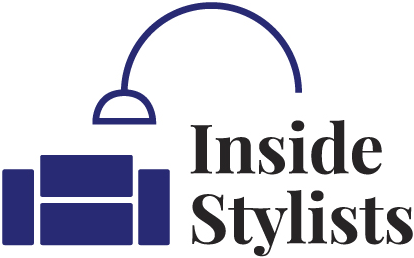 How can interior stylists and writers get in touch to feature your products?